Most Mego and Batman collectors I would assume own a vintage Mego Batcave. 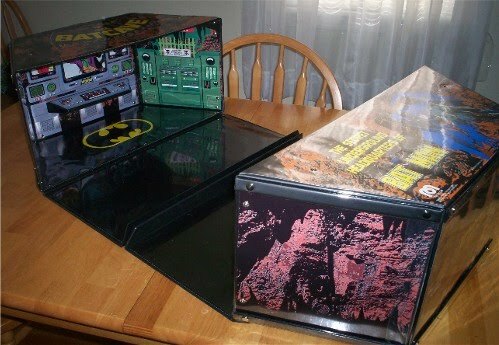 I have owned 3 in my lifetime. 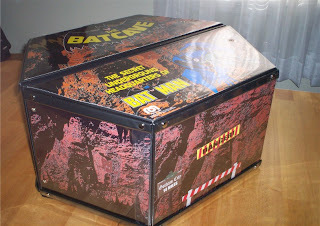 Including the one I have now box and all. 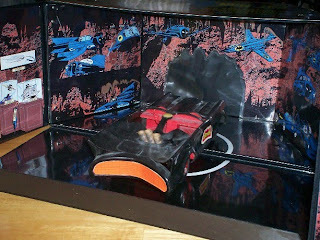 I have seen them sell on EBay for as much as $300 or more, but here is a look at a cool custom Batcave from The Toyroom. Both sections open to reveal the playset. 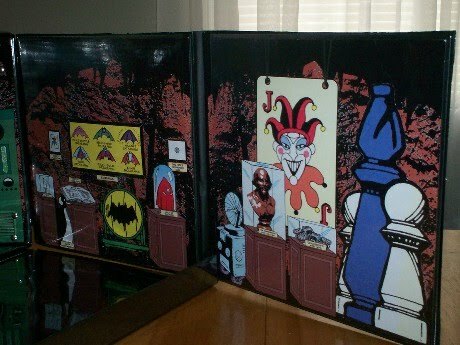 The playset doors double as floor space and the trophy room walls snap on to the sides. 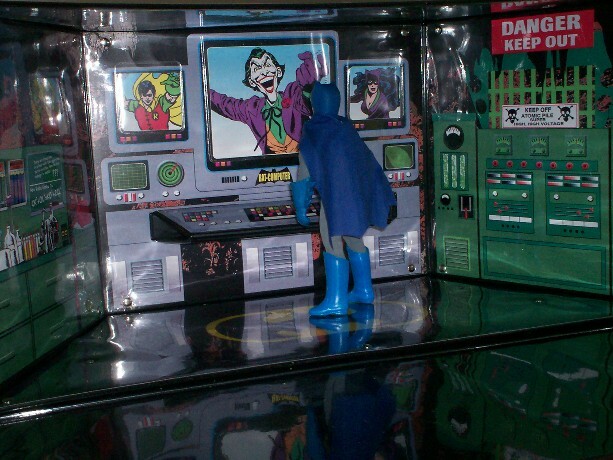 Here you can see Batman at the Bat Computer that comes with interchangeable view screens. 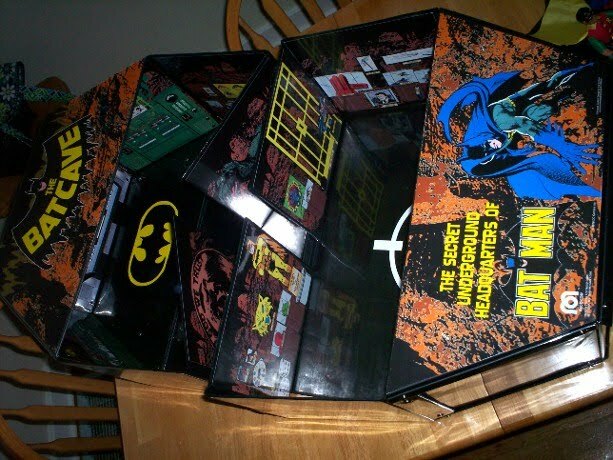 Batcave Trophy Room. Complete with William Shakespeare bust. Nice touch. Zooming out the secret entrance. Only 14 miles to Gotham City! 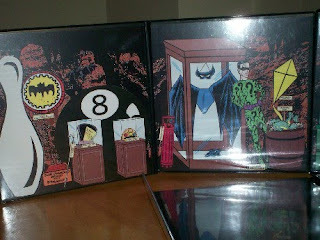 The playset folds nicely as a carrying case. This playest looks awesome. 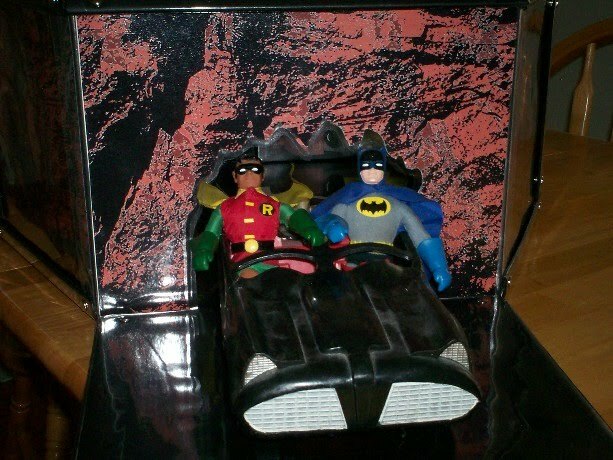 It may be a little pricey at $325, which puts it in line price wise with the vintage Mego version. If you are hungry for original Batman toys you might want to pick one of these up. Well, it sounds like Mego's Batcave Playset. 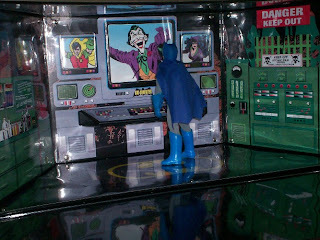 The figures were actually 8 inches tall, but you can find pics of the playset here at the Batcave Toy Room.